This cross PowerPoint template is part of the religious backgrounds for PowerPoint that you can find at this site. 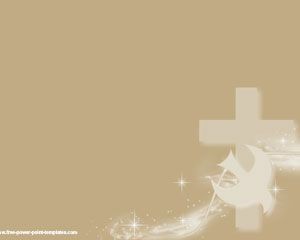 The template contains a cross and this is a free cross slide design for PowerPoint. You can download this free religious powerpoint template or any other free religious powerpoint templates from this site without signup, just click on the download link and use it in the church or presentation needs. Also you can use this template for church as well as other free church powerpoint backgrounds.